We jokingly like to call ourselves "Brackets Are Us". 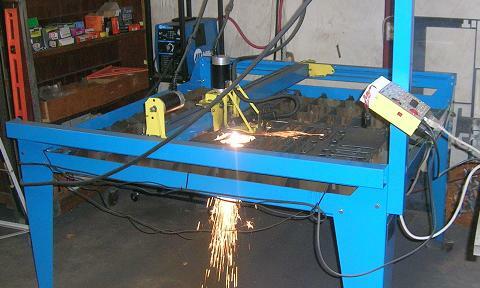 This plasma cutter makes designing and fabricating brackets easy and straightforward. Brackets aren't the only thing that we can cut out. 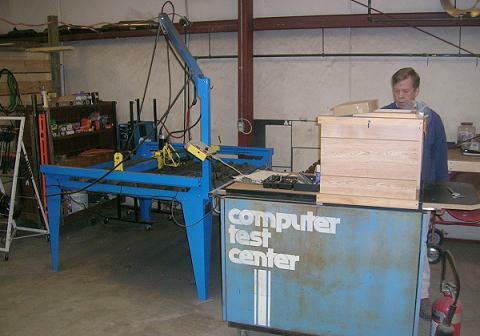 Anything you can think of needing cut from a sheet of metal can be accurately cut with the plasma cutter. 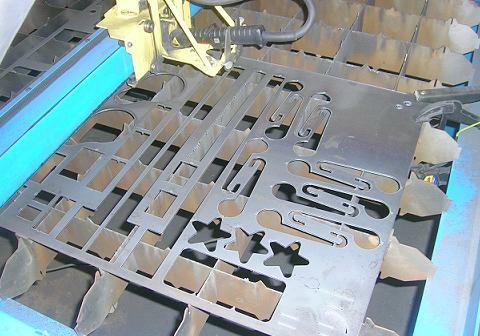 We are currently only cutting metal up to 1/4" in thickness, but contact us for your needs. This bracket was made for the installation of an electric shifter for one of our customers who has a paralyzed left foot. 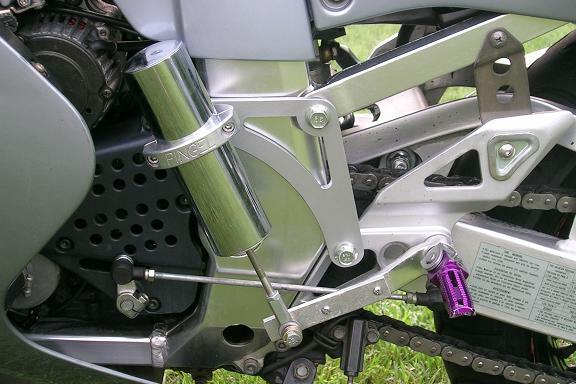 The manufacturer didn't make a kit for the '93-'95 Suzuki GSXR, so the custom bracket was needed for the installation. Back to the Motorcycle Parts Plus Homepage.